As a huge fan of the Bachelor and the Bachelorette… and Emily Maynard for that matter, I’m surprised that I’ve yet to blog about Emily and Jef’s breakup. What do you think about the split? Do you think Emily really paid him to stick around? It’s sad that hardly any of these reality relationships last, but I will still be glued to my TV every Monday night for the next season. My bridesmaids are working on plans for my bachelorette party. It will be in March, so most of the east coast will be pretty chilly still, except Florida. 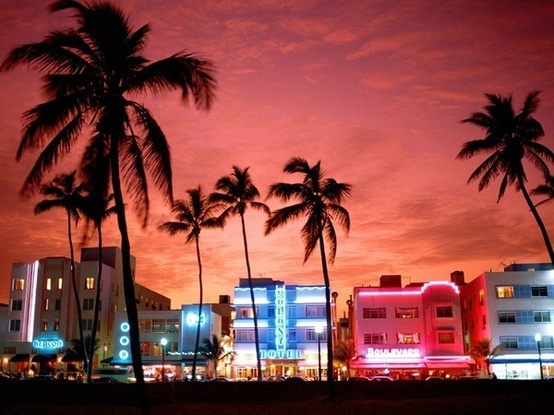 We’ve picked Miami as the destination because it has a fun party atmosphere, will be warm, and has pretty sand/water. I know we will have an absolute blast, but there’s a tiny piece about going to Miami that doesn’t sit right with me. I want to be somewhere fun, but I’m really not the “clubbing” type, which is the essence of Miami nightlife. I’ve never been there… so tell me, is Miami a good choice? We haven’t reserved any accommodations yet, so there is still time to pick a new destination. Where have you been on a bachelorette party? What location was the most fun? I’ve also considered Key West and NYC. Truth on a chalkboard, no? Ok…now for a relationship that works. I’m a little late in bringing this up, too, but what did you think about Jessica Biel’s pink Giambattista Valli wedding gown? I don’t think there’s any doubt that the photos are head-over-heels gorgeous, but the pink makes them look like they are at any ol’ fancy soiree. I’ll get over it. She looks gorgeous in the photos and they both are glowing. …and this is completely off the wall, but how great is this idea I found on Pinterest? I’ve thrown away so many of those hangers and am always hunting for chip clips! in terms of emily and jef… i think it was another case of falling in love on TV and then realizing you dont really know the person or have that much in common with them, i think its totally a shame, i really liked them together! I lived in South Florida for two years and am also not the clubbing type! Miami can be fun but I preferred downtown Fort Lauderdale to Miami. First off, going out in Miami can be EXPENSIVE. Like $10 for a bud light. Fort Lauderdale has an area called Las Olas that has a ton of bars with music that are a fun without being clubby. It's also fun there because you can (or could two years ago) walk from bar to bar with a drink. Lots of open air places. The beach is just as nice and there are places to stay within walking distance of both. I lived in Delray Beach for awhile, which is North of Boca Raton. It has a fun strip with restaurants and bars. Much more chill. West Palm Beach is also nice! Great shopping and downtown bar scene. Key West is also fun without being too clubby and crazy! I am doing Savannah for my bachelorette in December.. that may be a little too close to home for you though. I have heard great things about Savannah for a bach and I love the idea of being able to sip on champagne all day long with the no open container law! i don't watch the Bachelor/Bachelorette but eve i admit that i was upset to hear the news. i thought they made such a cute couple! and i'm thrilled for Jessica and Justin … i think they are perfect together. and the pink dress is actually growing on me because she looked incredible! Being from FL, I have been to both KW and Miami. You are definitely right about Miami being mostly clubs. If you are looking for a chill weekend with your girls where you can be on the beach during the day and go out to dinner/fun bars at nighttime, I would really consider Key West! It is so much fun! Although depending on when you plan on going in March, you may catch all the college spring breakers in Key West as it is the most popular destination for FL schools, and being out with ridiculous college kids might not be the atmosphere you are going for 😉 NYC would also be AMAZING!!! No matter where you go it will be perfect, bachelorette parties are so so fun! I totally understand where you're coming from about your bachelorette party. I am totally not into the party and clubbing scene either, so when choosing the destination for my bachlorette party I had a tough decision. I got married in February, and the bachelorette party was in January- so I also had the cold weather factor. Despite the cold temperatures my girls and I headed up to Asheville and had a truly wonderful time. We went to the Biltmore, which was still decorated for Christmas. Although we all had already been there, it's something everyone loves doing more than once. We got dressed up and went to nice dinners, and also went wine tasting. We did do one night out in downtown Asheville. We went to a few "pub-like" places, and then ended up at the wonderful Grove Park Inn. It was truly the perfect relaxing and quality girl-time weekend I needed before the big day. The perfect wedding-stress escape destination. If you don't feel comfortable with Miami, I say change destinations. We were originally planning on Savannah and I just knew it wasn't the right place for me. So happy I changed my mind. My husband and I spent a night in Miami on the first day of our honeymoon, on the way to somewhere else. You are right, it was club-y and noisy. But we ate at an amazing restaurant and had a lovely hotel. And I agree Jessica loved gorg but it looks like a party dress. I'm from SoFla and I think if you're not the clubbing type, Key West would be a much better bet for you bachelorette getaway. Miami is really crazy and hectic and it seems like you love to go boating and just relax by the water which is what the Keys are known for. And they're great because you can spend a few days in the middle keys for a nice relaxing vacation and just take a day trip to Key West for shopping, sightseeing, etc. There's this amazing resort called Cheeca Lodge in Islamorada that's absolutely beautiful and has an amazing spa if that's something you're looking for. I cannot believe Jef & Emily broke up … with Emily being a native West Virginian, and a Morgantown girl at that, I am a huge fan and although I wasnt crazy about Jef at the beginning of the season, I loved them together by the finale. I really thought their love and relationship would last! It breaks my heart – I think they are both deserving people and should have their "happily ever after!" How sad!!! & OMG what a genius idea to use those hangers as bag clips! I never would have thought of that, thanks for sharing! I've been to Miami a couple times, and there are definitely some clubby clubs, but there are also some cool bars that are low key and play fun music. There are some cute little lunch spots along the beach, too. Tampa is really fun and more laid back if you want to look into that. Can I just say whatever outfit Emily is wearing in that picture is amazing! I want it!! Never been to Miami, so I can't speak to that. But, Key West is a blast…especially for a bachelorette party. I am also not the "clubbing" type, but if you're looking for fun bars, beautiful weather and scenery, and lots of options for things to do, I'd definitely recommend Key West! I am still upset about Emily and Jef… I keep thinking maybe they'll get back together? Probably not, and I'm thinking maybe Jef just wasn't being honest with himself on the show… he's out partying and being young now so maybe he wasn't ready to be a dad after all. Key West sounds more like your style.. but other posters are right, it will be the prime season for college spring breakers. I attended school in Florida and a ton of local students go down there. It is wild.. but could add to the party atmosphere. One of my favorite areas is Anna Maria Island/Longboat Key/Siesta Key on the west coast of Florida. It is beautiful and has a smaller, beachy feel. Nothing like Miami. There are some beach bars in Siesta Key, too. And you'll see the pretty white sand and blue waters! Agree with the others.. Miami can be awesome if you like clubs, and Key West is a ton of fun, but March will be the prime time for spring break, and it's wild. The other keys will be less crazy, but you'll definitely need a car. The Gulf coast area of Anna Maria/Longboat Key/Siesta Key is really beautiful and more relaxed that time of year. It's perfect for beach lounging, dinner, and maybe some beach bars. I went to a bachelorette in Miami last summer. It was a blast. Went to nice restaurants and bars. Definitely a pricey weekend but still lots of fun. There were only 5 of us. It was the perfect group size for dinners and going out. We stayed in South Beach the whole time and never went into downtown Miami. For mine, we rented a house on the beach. It was perfect for a big crowd (8 girls). A big city is really fun, but it seems like it's all focused on "what's next". I loved the beach house idea because we went out one night and the other night we stayed in, had a lingerie shower, and played games. We had a chance to relax and catch up. I really liked Em & Jef…but I love Sean! Will def be watching this season. I don't have firsthand experience about Key West, basically because like you, I'm not a clubbing type of girl. But a BUNCH of my sorority sisters went to Key West for Spring Break our junior and senior year. I'd avoid Key West during March too, since it's Spring Break for colleges! I was born and raised and still live here and Florida! My good friend did her bachelorette in Miami but she was wanting to go out the whole time to LIV and Mansion, etc. It's very fast paced and a party town. Like Emily said, Fort Lauderdale is a quieter version that is still nice. Las Olas is very upscale 🙂 Key West is always a good time, just know that it is SUPER casual and depending on timing could be Spring Break. Check out Siesta Key (near Sarasota). They have a fun strip of bars and the most beautiful beach in the nation… hope that helps! I just went to Miami last year for my sister in law's bachelorette. While it was fun my sister and I decided one trip to Miami was enough for us. It was total club scene and the places that werent cluby (ie the Delano and the Ganesvort) were crazy expensive. If you had alot of money the swanky high end places are fun but it adds up fast. We did have some incredible meals there. That being said we all had a fabulous time there as it really just depends who is with you. If you have a fun group of girls it will be fun anywhere! and if you have never been to Miami it is fun to go once and what better time than for a bachelorette party:) If you end up booking there email me and I will send you the restuarants and bars we loved! I went to Miami with 10 girls and it is very, very fun – but it really REALLY is a club scene. I feel like the whole place is really clubish and it's ridiculously expensive for drinks no matter where you go. It is a fun place to go though and could be great for a bachelorette – everyone should go once I feel like. 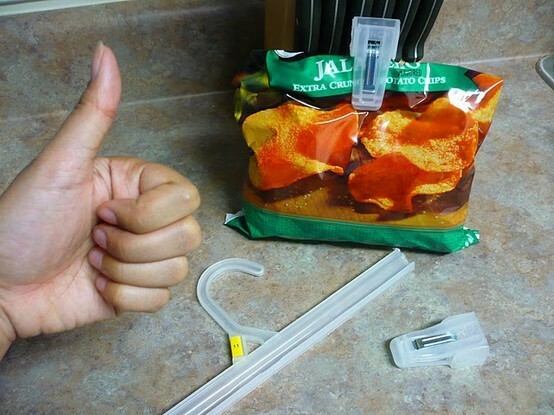 love the chip clip idea – we are always looking for chip clips! and i'm debating about emily…. not sure what to believe?! 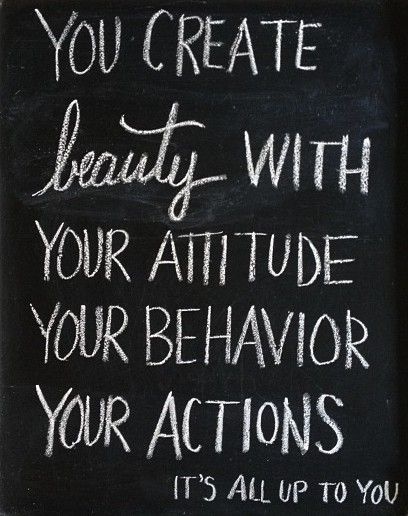 Hope your week is going well! I got married 21 years ago and we didn't go away for the bachelorette party. It was expensive enough asking my girls to get dresses and shoes, I never thought to do that. Sounds fun though. I'm from Florida so I have been to both Miami and Key West quite a bit. Miami is fun but like Natalie said, super expensive and clubby. It could make for an awesome Bachelorette party! That being said, I LOVE Key West! A lot of girls in Florida do their Bachelorette's there. We went for my best friend's in April and had a blast. We did a sunset booze cruise, bar crawl, drag show, pool, etc. Definitely a fun time. If you need recommendations for there, let me know! You should check out New Orleans… that time of year its starting to warm up… its an awesome city, regardless of the Bourbon st factor and has sooooo much to do. More bars then clubs!! We did my best friends bachelorette there last April and everyone had a blast and can't wait to go visit again!!! I am from (born and raised) Miami…I would definitely not recommend Miami if you are not the "clubbing" type. I have seen others suggest the Keys and I have to agree! I don't blame you about Miami, I'm not the clubbing type either but the Keys are really nice if you want relaxation. My dad has a home in Islamorada and my girlfriends and I always go down there to relax. The weather is always warm and it's always beautiful! If you go to Key West though, watch out for college spring breakers. March/April is normally that time. Good luck! My sister lives in Marathon Florida and we are doing her bachelorette in Key West! It's a good time for sure…you should def have your bach there! that chip clip idea is AMAZING!!! I have been to both Miami and Key West multiple times… usually with a few nights of "clubbing". 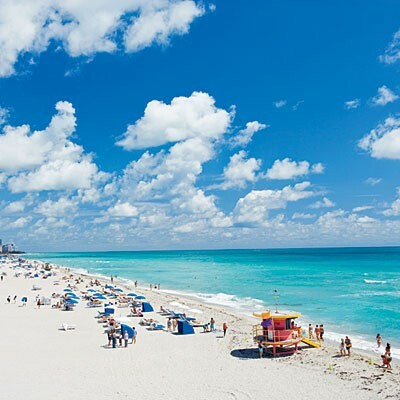 Miami is great because if you choose a nice hotel on South Beach, you can have a beach front view, beach access with "cabana boys", an amazing pool, and you are walking distance to a lot of fun shopping and scenery. Oh and TONS of restaurants. And of course you could go to a club one night since it is your bachelorette party afterall! I suggest Mansion! As for Key West, you have the same options, just fewer hotels to choose from, fewer restaurants, less shopping… but still fun and low key. All in all… if you want celebrity treatment, go to Miami… if you want to just relax among the islanders, go to Key West. I spend every winter in Miami and I am not a clubber either. You can have fun just dining out with the girls, you could have a cabana day or even charter a sweet yacht for the day. The shopping is sick in Miami and I highly suggest hitting the Bal Harbor mall. If you're a foodie, there are so many fantastic restaurants too. Just make sure you double check the weekend! They do quite a few marathons during February and March down in Florida. That could make for a crowded weekend! If you would like the elegance with the beach stuff, try the Foutainebleau Resort. Its AMAZING!! MIA is fantastic, but it's very clubby, very expensive, and can even feel a little unsafe at times. Key West is laid back, quaint, and SO fun. There are great B&B's, or a few higher end resorts. Casa Marina is GORG, its a Waldorf Astoria.